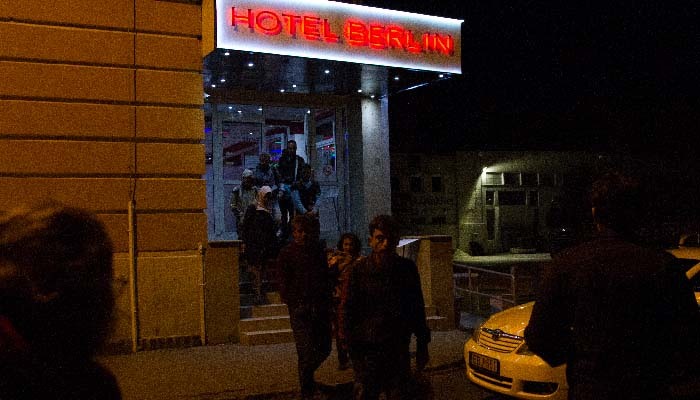 Acting on a tip that over one hundred Syrian refugees were being held against their will at a hotel in south Buda, eight Migration Aid volunteers and a photographer visited the Hotel Berlin in Budapest’s Hunyadi János street late Sunday night. 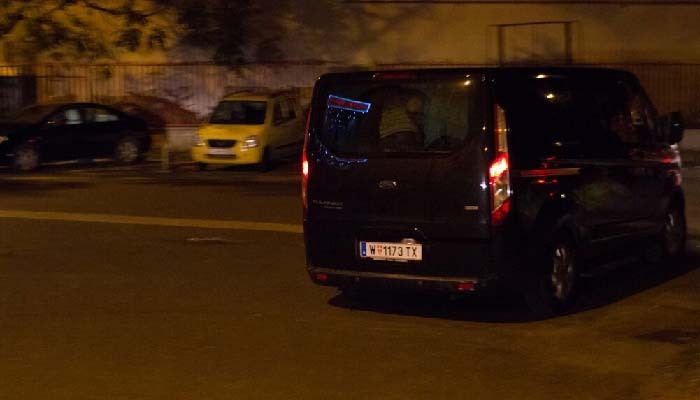 They ended up transporting some 80 Syrian asylum seekers by private car, taxi and public transport to Budapest’s Keleti (Eastern) station, where they put them on trains to Austria. The refugees said they had been transported to the Hotel Berlin from Serbia, Keleti station or elsewhere in Hungary in private cars and taxis, and told it was the place to arrange their onward journey to Germany. Among the volunteers were two American-Hungarian dual citizens living in Budapest for over twenty years, and an American who has been residing in Budapest for the past two years. They were accompanied by three Arab speakers and British photographer Craig Hull. Anna: I learned from a volunteer at Istar (a group of students who are collecting and distributing aid to refugees at Keleti) that a Syrian Kurd had told her that over a hundred refugees were being held captive by human smugglers at the Hotel Berlin in south Buda. He said human smugglers had taken them there and were charging them over EUR 350 (USD 393) a night per person, and that they were being charged EUR 3-4 (USD 3.4-4.5) for bottled water. He said he had paid human smugglers thousands of euros to arrange his travel to Germany, and that after being taken to the hotel, he and hundreds of other refugees had not been allowed to leave. According to the Istar volunteer, he had escaped by telling his captors he was going to the bathroom. Jim: When I learned about this from Anna I drove over to the hotel, arriving there around 11 pm. As I approached the main entrance I noticed three men sitting on the front steps smoking cigarettes. They appeared to be sentries. 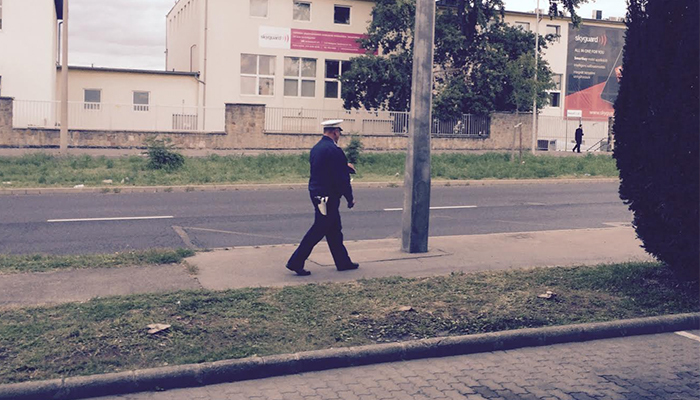 One of them followed me into the hotel and told the receptionist in Hungarian that I had arrived by private car. I asked the receptionist in English whether I could get a room. After checking his reservations he said they were sold out. When I asked him how much rooms usually cost, he said EUR 50 a night. John: The rest of us arrived at around 11:20 am. 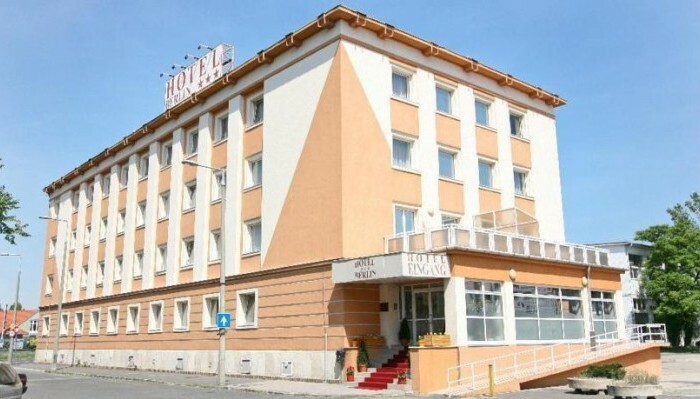 The hotel itself is situated in a desolate and empty area. 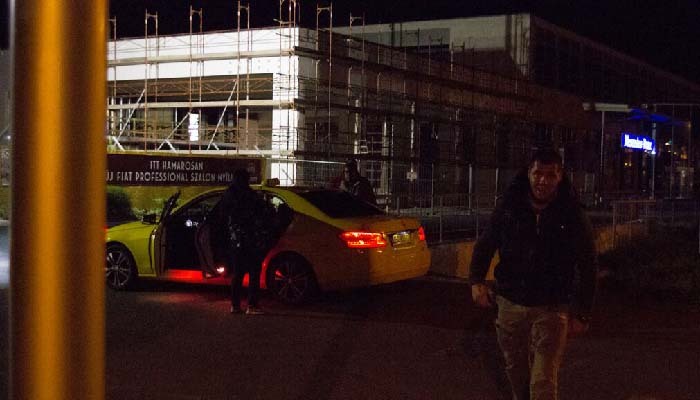 Immediately upon our arrival we witnessed a series of taxis and private cars dropping off groups of refugees just outside the hotel, typically four at a time. 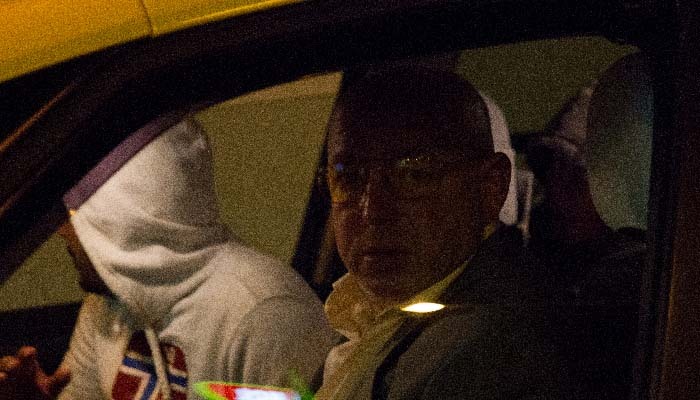 The people driving the cars typically had shaved heads and wore tracksuits and trainers—typical Slavic tough guy look. The refugees had little more than what was on their backs—knock-off logo t-shirts, jeans, some in sandals, others in shoes, looking tired and somewhat disheveled. The smugglers looked to be in their 30s, most of the refugees the same, although there were a few older men, and one group with women and some children. The refugees were dropped off across the street from the hotel, and sometimes in front of the hotel. From there they quickly made their way to the entrance door. Craig: I took photographs of some of the cars. You could tell the drivers were uncomfortable about being photographed. 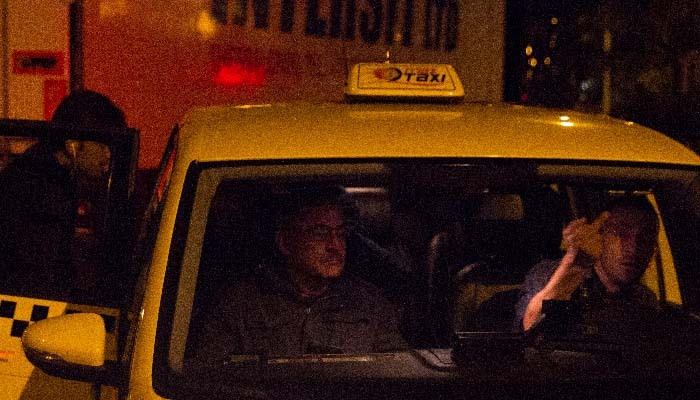 One taxi driver game me the finger. The driver of a private car that I managed to photograph from close up actually got out of the car and chased me. Seeing I was about to take a photograph, his passenger lifted the hood of his jacket and turned away from the camera. John: I entered the hotel and asked the receptionist who was staying at the hotel. The receptionist, a Cuban male in his early thirties with a close-shaved head wearing a tight-fitting t-shirt, said they had mostly Romanian and Serbian tourists staying there that night. When I asked whether any refugees were staying there, he said they had at most three of four rooms with refugees. The hotel had notices up on the entrance doors in English that if you are not an EU citizen, you must have a proper visa, etc., to stay, which just seemed weird. While we were there we saw at least a dozen refugees in the hallways. No other guests. While other members of the group distracted the receptionist, I snuck up the stairs. As I approached the first floor landing, a Slavic looking fellow opened the door and gazed at me silently. The same thing happened as I approached the second floor landing. It was obvious to me that they were guards. Craig: Some of the refugees told us that they had been transported there from Serbia. Others said that they had been taken there from Keleti station and were told this was the place to where they could arrange to be smuggled into Germany. At least one refugee said that they had paid someone to take them to Germany but ended up being taken to the Hotel Berlin instead. Anna: We called the police several times to inform them that human smugglers were keeping refugees at the hotel, but kept getting transferred. Finally, after 45 minutes or so two policemen showed up. John: It was strange it took them so long to respond because earlier we noticed a police cruiser passing the hotel every twenty minutes or so. Anna: The police asked us whether we had recorded the license plate numbers of any of the vehicles transporting refugees. When we told them we had not, they said that in that case they couldn’t do anything. When we asked them to look around the hotel, they said they weren’t allowed to because we weren’t guests of the hotel. When they finally agreed to enter the hotel and speak to the receptionist, they refused to climb the stairs, even though the receptionist said they could. Instead, they said they would set up a surveillance of the hotel. Eventually another three policemen showed up. They checked the documents of some of the guests and ended up taking four of them away for failing to have the right documents. They took our information and filled in a number of forms but didn’t give us copies of anything. We kept telling them they should be arresting the human smugglers instead of refugees, but they only seemed interested in whether the refugees had the right documents. Craig: When I photographed one of the policemen he insisted I delete it. I took this one of them later. 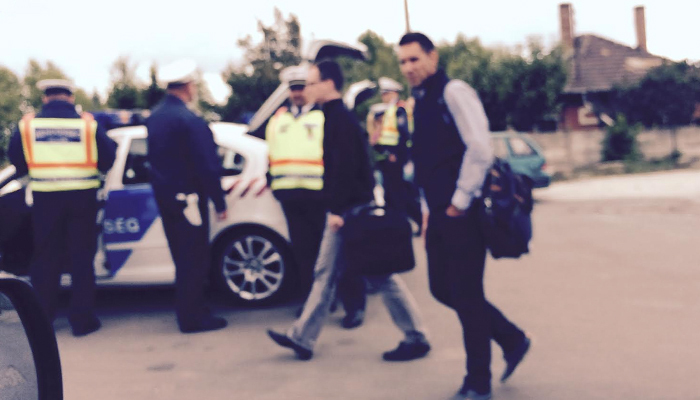 John: Over the next two hours we took several carloads of refugees to Keleti via taxi and personal car. We explained to them that they didn’t need smugglers because the borders were open and offered to purchase their train ticket to Austria. Everyone we spoke to agreed to go except for one group of women with children who were obviously terrified. 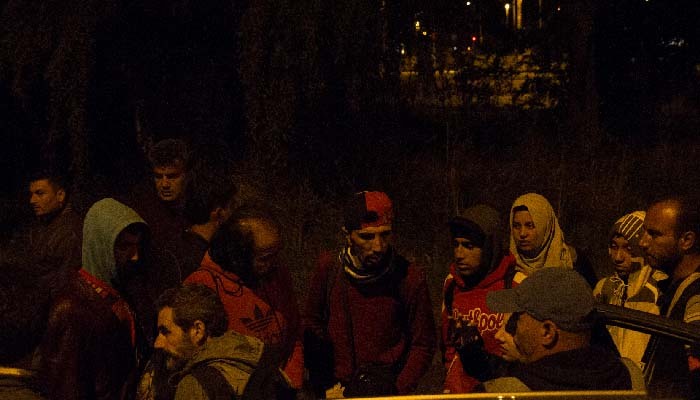 Altogether we transported some 35 refugees, all male Syrians, to Keleti. Jim: After John left another 45 or 50 refugees were dropped off at the hotel. We warned them not to enter the hotel and told them we would take them to Keleti where they could board trains to Austria. At one point I transported a family of seven, including two small children. When there were too many for us to transport, we arranged for them to take public transportation to Keleti, where we bought their train tickets to Austria. After interviewing the three Migration Aid volunteers and Craig Hull, two of the six journalists visited the Hotel Berlin. 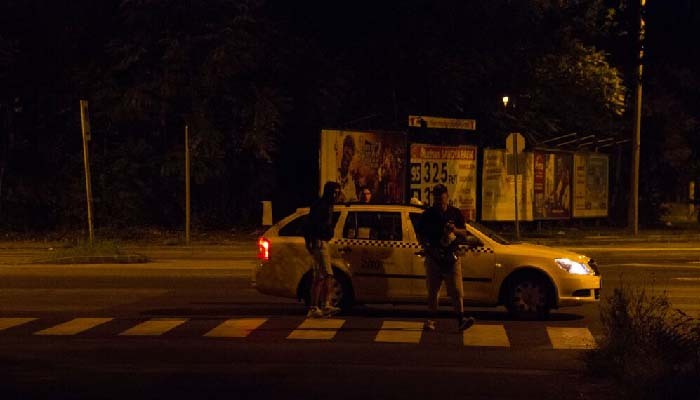 About 200 meters northeast of the hotel they observed three police cruisers and six policemen by the side of the Hunyadi János street checking the documents of pedestrians walking along the side of the road. 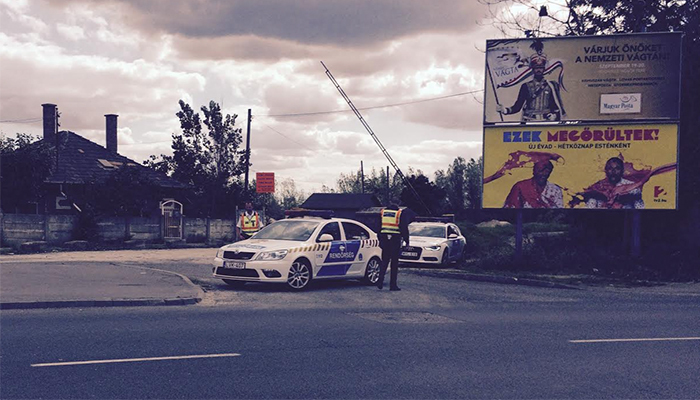 A seventh policeman stood in front of the MOL petrol station about 50 meters south of there, roughly halfway between the checkpoint and the Hotel Berlin. This Arabic man was denied entry to the hotel for not having his “police papers” on him. 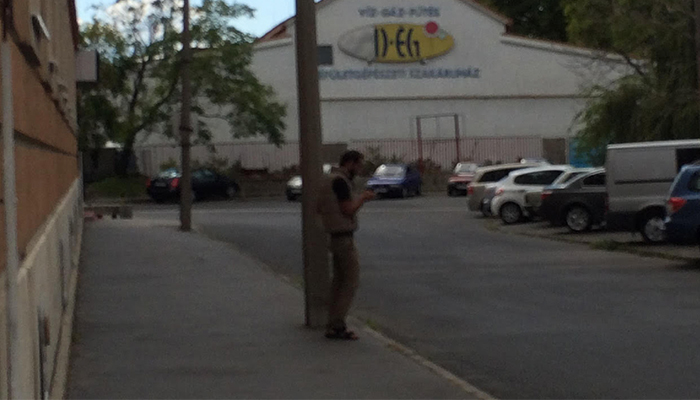 A bearded man in sandals (pictured) was standing in front of the hotel speaking Arabic on a cell phone. As the journalists climbed the steps to the hotel, a young Hungarian man with shortly cropped hair exited the building and stood in front of the main door, blocking their way. When asked whether there were any rooms available, he said the hotel was sold out. When asked whether any refugees were staying there, he answered there were no refugees at the hotel. Meanwhile the Arab man from the parking lot, having finished his cigarette, climbed the stairs and attempted to enter the building. The guard blocked his way and asked him in English for his “police paper”. The man gestured that his documents were in the hotel. A young woman who obviously recognized the man came out of the lobby. Speaking to him in Arabic, she appeared to be telling him that he should enter. When the security guard continued to deny him entry, another young Middle-Eastern looking man speaking Arabic on a cell phone came to the front door and gestured that he should enter. But the security guard continued to deny him entry. Prior to attempting to enter the Hotel Berlin, the two journalists attempted to enter the commercial premises behind the hotel. When a security guard asked what they were doing there, they asked whether there was any warehouse space for rent. He replied there wasn’t and told them to leave. When asked the name of the operator, the guard said it was not his job to give out information. Leaving the hotel premises, the journalists noticed the policemen up the road get into their cruisers and leave at 12:58 pm.